Microsoft's Sync Strategy: A Bit of a Mess? "It's fair to say that Microsoft's product offerings are something of a mess. Windows Live Sync and Live Mesh overlap (the difference being that the former is PC-to-PC, the latter is PC-to-cloud), Live Mesh and My Phone overlap (they're both device-to-cloud), and SkyDrive, Live Mesh, and My Phone all overlap (they all incorporate their own cloud storage)." This article overstates the case slightly - Live Mesh was always a technology preview, nothing more. Live Sync is the consumer-facing sync product from Windows Live, and the new version is using Mesh on the back-end, so it's easy to see that Microsoft's long term plan was to migrate from the original FolderShare code to Mesh. Now that's not to say that the new version of Live Sync is trouble-free...in fact, I think it's almost a disaster in terms of performance. And the limit of 2 GB on Skydrive sync is puzzling...why not let them use the full 25 GB offered by Skydrive and become a market leader in one fell swoop? Maybe there are concerns of people using their 25 GB for piracy and copyright theft?I expect Mesh to be shut down as a service before the end of the year, and hopefully the Skydrive storage component will get increased over time. I think it makes sense for the phone sync component to stand alone for now - it's based on an acquisition by Microsoft - though I hope it comes into alignment with the other services over the next year. The core concept the author is focused on is correct though: Microsoft seems to be of many minds about about how they want to handle sync. The slow - oh so slow - process of moving Live Sync from it's Linux-based, FolderShare roots to Mesh was the first step. That took years for them to accomplish. They obviously dipped their toe in the water with the Skydrive implementation, and frankly Skydrive has never seemed very usable to me. The author correctly points out that Dropbox has lots of momentum in this space because it's fast, lightweight, easy to use, and has some great features. If you don't already have a Dropbox account, use this link to sign up - you'll get a bonus 250 MB of space above the 2 GB, and so will I for referring you. It's a win-win. I resisted using Dropbox for a while, and frankly didn't grasp what all the excitement was about. Dropbox isn't a replacement for Live Sync, because it uses a "put your stuff in the magic folder, and the magic folder will get synched across all your PCs" approach while Live Sync uses a different approach: "The folders you already have and use are your magic folders, so they'll get synched across all your PCs". 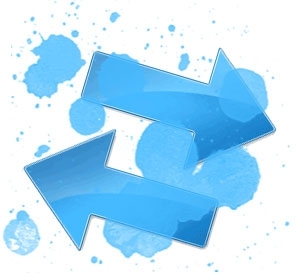 You can use Live Sync the same way as Dropbox, tagging a special folder, minus the cloud sync. I don't want all of my documents and photos in the cloud though - unless it's under secure lock and key with Mozy [affiliate] - so for me Live Sync was the best solution. The words "Microsoft" and "sync" should NEVER be used in the same sentence. I'm not the sharpest tool in the shed, but I understand technology better than a lot of consumers. And Microsoft, IMO has NEVER introduced ANY sync idea that has made sense, worked well or done both at the same time. I have dropped all of these services. I was a HUGE user and fan of Mesh, but their new limits are ridiculious and this article has it right, the entire sync strategy is a mess. I've moved to SugarSync and love it. I was always willing to fork over money to someone for more storage, though 5GB was enough with Mesh to be workable for my key folders, and it was drop dead simple to use. Too bad MS is too disorganized to get all of their products to function as a cohesive unit and even offer premium services for a price. Has been that way for years though. I am through investing in most Microsoft products. I recently said that WinMo and Zune are on the edge for me. Windows and Office of course I'll keep. Those aren't going anywhere and my reliance on Access requires I keep these two around, which is fine. Both are top notch products.